The Community Music School of Webster University's Preparatory Program welcomes internationally known violist and pedagogue Kirsten Docter for an afternoon featuring a free concert and dedicated viola masterclasses on Sunday, Jan. 21, from 1-5 p.m. This special appearance begins with a 35-minute solo concert in the Thompson House Recital Hall on the Webster University campus. At the conclusion of the concert, CMS viola students will participate in a short viola ensemble piece. 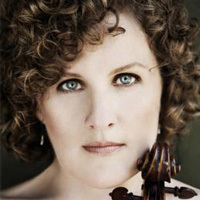 Ms. Docter is assistant professor of viola at Oberlin College and was a member of the Cavanni Quartet at the Cleveland Institute of Music for 23 years. A former winner of the Primrose International Viola Competition, Ms. Docter is equally prized as a pedagogue. For more information, visit the News and Events Page at www.webster.edu/cms. Founded in 1925, CMS offers outstanding music education and performance opportunities to students of all ages and abilities and serves the entire St. Louis metropolitan region. CMS' Preparatory Program (Prep) is designed to augment the individual music study of exceptionally talented string, woodwind, brass, and piano students who anticipate pursuing a career in music. Utilizing the vast artistic resources of the Greater St. Louis region, including the St. Louis Symphony, area University, and other music professionals, as well as Community Music School and Webster University faculty, the Preparatory Program offers high caliber instruction, performance opportunities, and artistic mentoring in one comprehensive curriculum.